Seeking inspiration for the network for another of our ceremony scripts, we have found this little text attributed to the Jamaican musician Bob Marley. Whether he is the author or not, we want to share it with you. Because it is a great way to describe real love, everyday life, not the one of fairy tales, or Disney movies… But the day-to-day of everyday people. And besides it is universal, for her, for him, for anyone. She loved before she may love again. 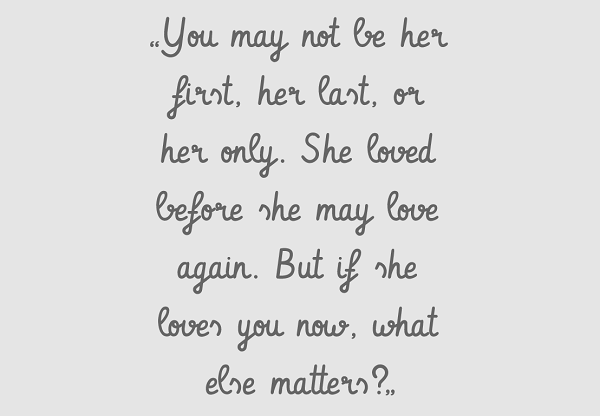 But if she loves you now, what else matters? She’s not perfect, you aren’t either, and the two of you may never be perfect together. But if she can make you laugh, cause you to think twice, and admit to being human and making mistakes, hold onto her and give her the most you can. She may not be thinking about you every second of the day, but she will give you a part of her that she knows you can break, her heart.